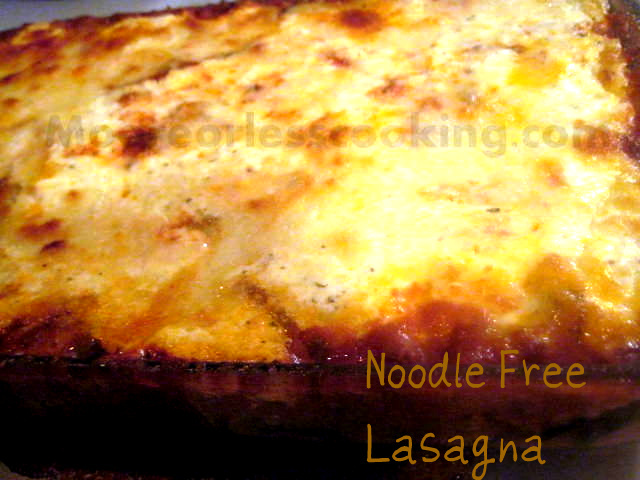 Sometimes I just feel like having lasagna without all of the carbs and guilt. This is the perfect recipe for that. Even my kids love it. I used Zucchini in this recipe, I have also used eggplant before, which is very good too! Mix together cottage cheese, egg, basil and pepper. Slice zucchini about 1/4-inch thick or less. Cover bottom of glass baking dish with sauce, and then layer the following: zucchini, spinach, sauce, cottage cheese mixture, mozzarella. Repeat. Top with fresh parm, sprinkle with dried basil. Cover with foil and bake at 350-degrees for 1 hour, removing foil for the last 15 minutes of baking. This lasagna looks fabulous. I am diabetic and trying to find ways to cut back on carbs. This looks like an amazing way to do that. hank you.